“Whenever I’m going to a party, I’ll bring a jar of pickled shrimp—it’s always a hit,” says DiBernardo, who buys his shrimp from Captain Don’s on Highway 17 in West Ashley. Grilled corn salad gets a spicy kick from a jalapeño. 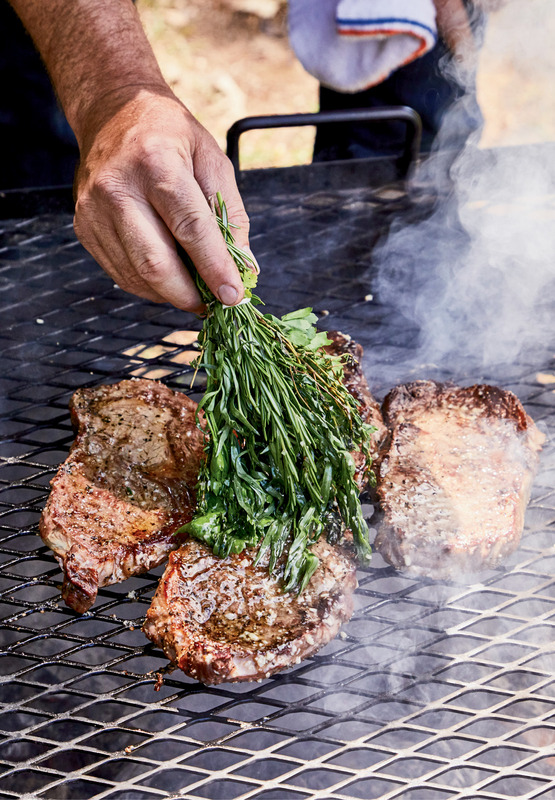 To glaze the rib eyes, DiBernardo bundles together savory herbs (thyme, rosemary, parsley, and tarragon), dunks them into melted garlic butter, and then brushes the meat. 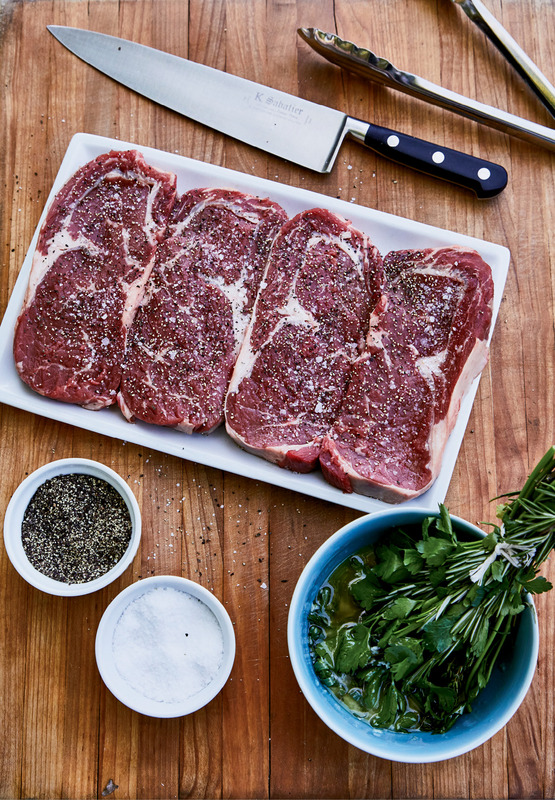 Don’t overcook your steaks; they only need about seven to 10 minutes on the grill for rare. 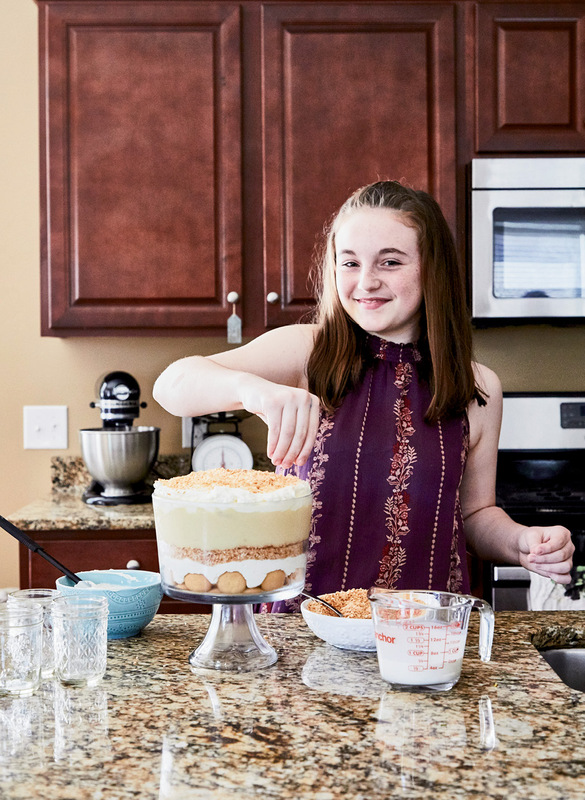 When making coconut pudding, be sure the milk is hot before adding the flour and sugar; otherwise, it will take three times as long to thicken, DiBernardo notes. Living underwater for four years has a way of putting things into perspective. To Swig & Swine owner Anthony DiBernardo, working around 100 hours a week stoking barbecue smokers outside in the sunshine seems like a breeze compared to cooking for 130 submariners more than 400 feet below the surface. “The routine on a sub is incredibly mundane. Food is the only thing you look forward to, so it’d better be good,” recalls DiBernardo, who enlisted in the Navy directly after high school. “The military was my culinary school,” he says—and he has the discipline and work ethic to prove it. Good thing, too, because ever since he fired up his popular barbecue and brew joint’s Mount Pleasant iteration this spring (Swig & Swine’s third location in just four years), DiBernardo rarely enjoys a free moment. 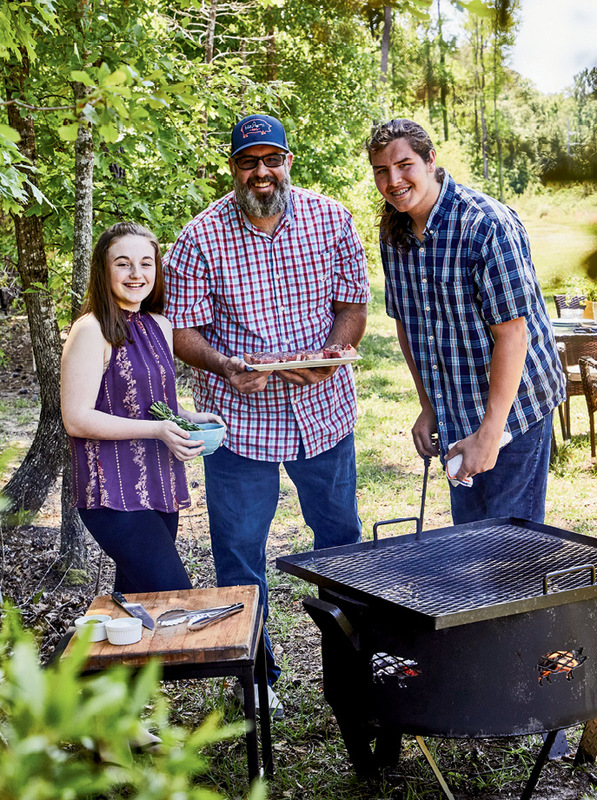 When he does manage to snag a Sunday off in the summertime, the West Ashley dad likes to invite his neighbors over for a laid-back afternoon cookout around his backyard grill. 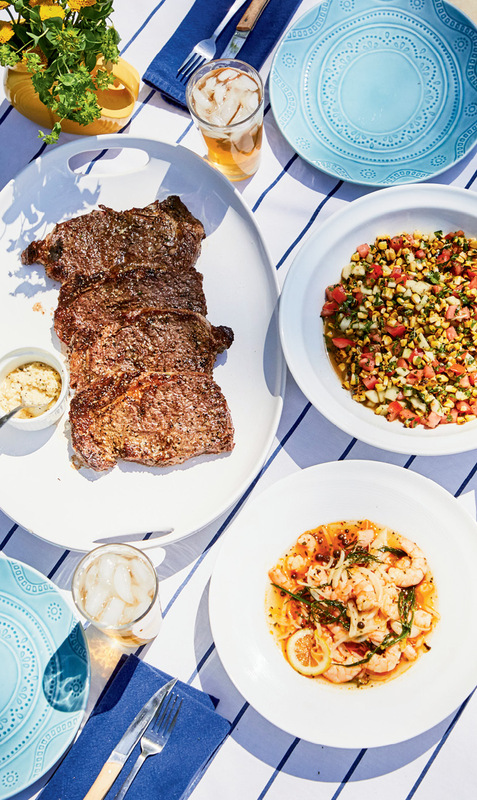 “I love the simplicity of cooking with just wood and fire,” says the pitmaster, whose interest in barbecue was piqued while roasting whole pigs at Kiawah’s Mingo Point in the ’90s. 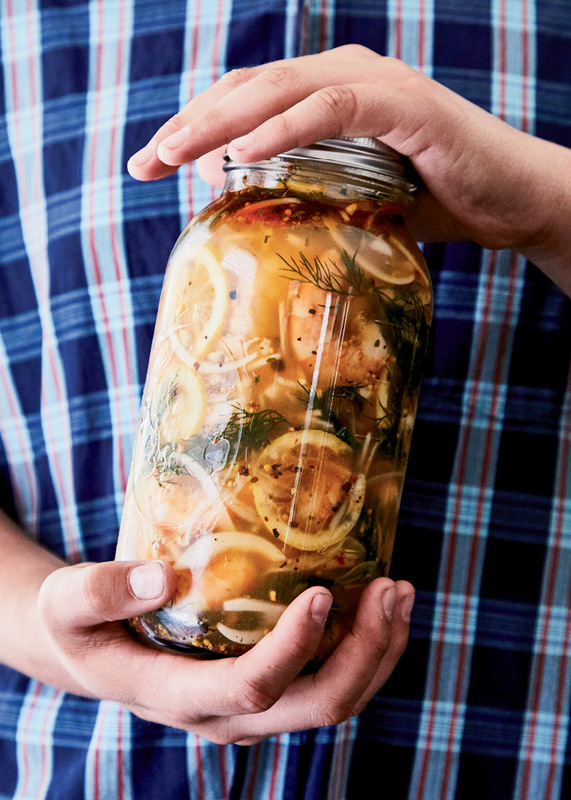 Before his backyard gatherings, the restaurateur enlists his children, Asher and Mia, in helping prep a few sides and sweets. 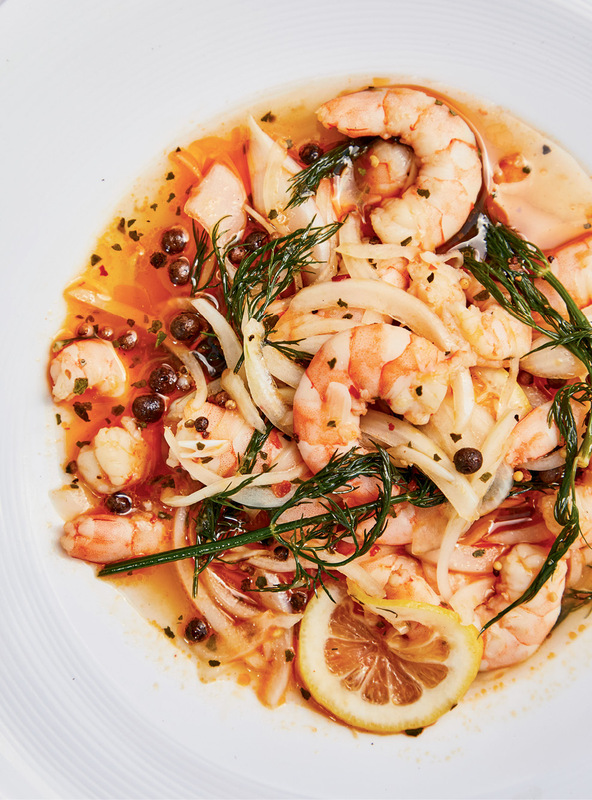 First up, DiBernardo’s party-pleasing pickled shrimp, which features a pungent vegetable brine with julienned onion and fresh dill. 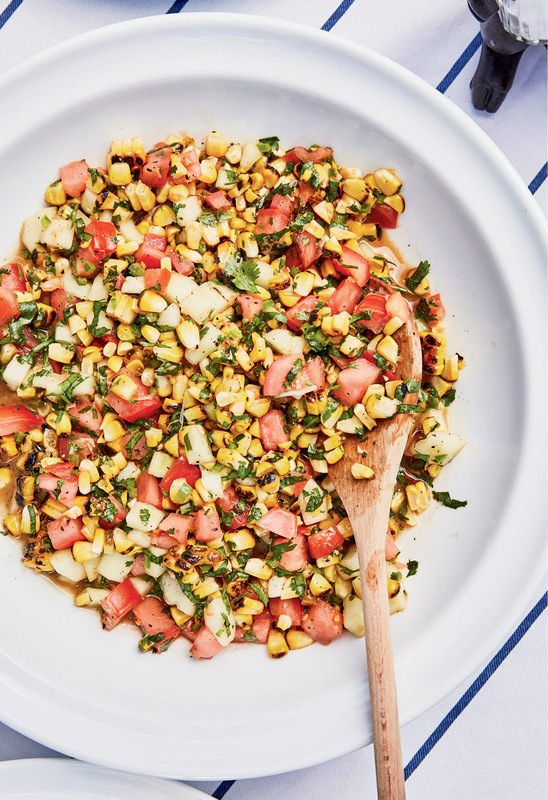 He also tosses together a salad with three of his favorite veggies—corn, cucumbers, and tomatoes—dressed in a marinade made with cilantro, jalapeño, and lime. “Grilling the corn caramelizes the natural sugars and brings out its sweetness, adding another level of flavor to the salad,” he explains. 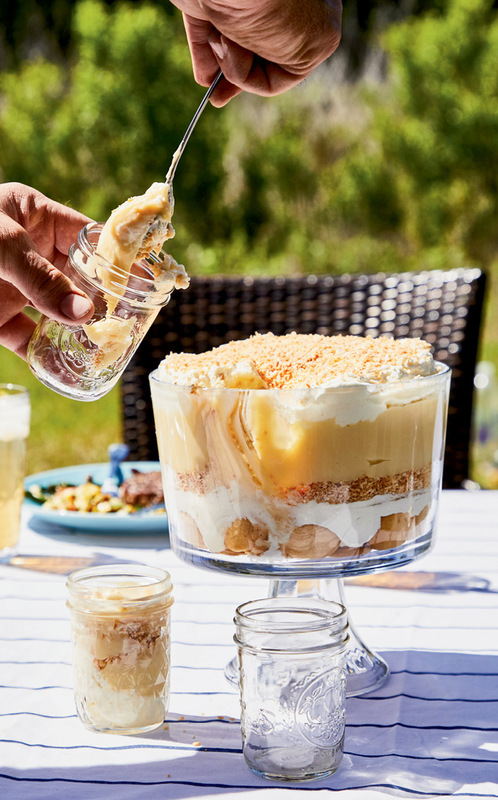 And for a twist on the traditional icebox dessert, DiBernardo concocts coconut pudding, a mash-up of coconut cream pie and banana pudding spooned over vanilla wafers and toasted coconut. Summer Plans: This month, Dad and the kids head to New York City for the Big Apple BBQ Festival. “I’m going to be cooking with Rodney [Scott] again,” DiBernardo says.